SANTA MONICA, Calif.–(BUSINESS WIRE)–TigerText, provider of the nation’s most broadly adopted secure messaging solution, has introduced TigerFlow Enterprise, a new clinical communication and collaboration (CC&C) platform offering that is set to revolutionize the way care teams work and interact with patient data across the healthcare organization. After nearly a decade pioneering the secure text messaging market, TigerText has spent the past three years developing a workflow-enhancing communications platform to support the functionality needed to automate and deliver system information across the last mile of care. With its product design guided by some of the nation’s largest health systems, TigerFlow Enterprise addresses the advanced needs of care organizations through embedded workflow communications. The capabilities in TigerFlow Enterprise allow care organizations to solve for specific outcomes centered around resource optimization, faster transitions of care, fewer medical errors, and higher patient and provider satisfaction. Among its many capabilities, TigerFlow Enterprise offers organizations an easy way to connect to the EHR, manage a wide range of clinical alerts, and place calls using integrated VoIP technology. TigerFlow clients are already seeing positive results, including Kennedy Health, a three-hospital, 607-bed health system in Southwest New Jersey that credits TigerText with reductions in readmission rates of 22.2% for Congestive Heart Failure (CHF) cases and 8.8% for cases of Chronic Obstructive Pulmonary Disease (COPD). Westchester Medical Center, a 1,700-bed, 10-hospital system in Valhalla, New York saw similar results when they used TigerFlow to achieve an average reduction of 13.3 minutes in transport time between facilities while providing charge nurses with advanced warning of incoming transfers in a more efficient way than with phone calls or pages. TigerFlow Enterprise’s suite of communication capabilities specifically solve the ‘last mile’ problem in healthcare, namely the information gap between landlocked EHRs, audible-based bedside monitoring equipment, admissions, discharges, and transfers (ADT) systems, scheduling systems, desktop IP phone systems, and the place where care is actually administered – at the bedside. One of the persistent challenges for hospital IT teams is finding a fast, cost-effective way to integrate their clinical communication platform with the EHR and avoid headaches or ongoing maintenance costs for IT. TigerFlow Enterprise’s EHR Connect provides a fast, affordable bridge between system data and the smartphone, surfacing it through a feature-rich, easy-to-use app experience that allows hospitals to extract substantial, incremental value from their massive EHR investments at a tiny fraction of the cost. Today, EHR events can sit idle for several minutes or even hours until a clinical staff member logs in and notices that a result is available or an order has been placed. EHR Connect closes this gap by routing alerts in real time to the appropriate care team member and providing actionable options for the user in the message feed that can dramatically accelerate patient care. Available for practically any EHR system, including Epic, Cerner, MEDITECH, Allscripts, and others, EHR Connect provides detailed alerts around ADT, and other types of care team management. 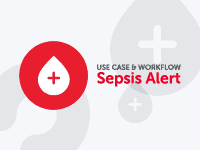 TigerFlow Enterprise’s Clinical Alerting capability channels notifications for three key alert types: Nurse call, patient monitoring and lab results. Hospitals employ a wide array of systems that generate alerts, which originate from patient actions, patient monitors and more. When clinicians receive these messages in TigerText, they are able to digest this information quickly and take action outside of the EHR through the application’s intuitive smart cards that show detailed information about the alert, along with action options for accepting, denying or escalating a particular task. Rules coded into TigerFlow Enterprise allow the application to intelligently funnel different alert types to the appropriate physician, nurse or allied health professional where they can assess and act on the given alert. Vital signs from bedside monitoring equipment that deviate beyond normal ranges will immediately trigger detailed alerts to the appropriate nurse, while critical lab results can quickly be acknowledged by physicians through the app interface. 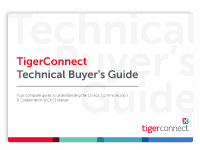 To ensure success from day 1, TigerText’s VoIP offering also includes pre-flight recommendations and an inventory audit of current communication systems that can help avoid pitfalls and significantly improve the odds of a productive, perfectly functioning implementation. 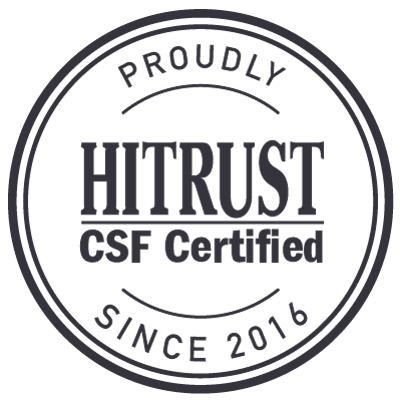 Some of these include ensuring 5GHz signal strength for the Wi-Fi system through a professional onsite inspection, fortifying any dead zones, and upgrading to more recent devices. Ready to get off the sidelines and embrace a new way of communicating? The features highlighted in TigerFlow Enterprise are currently available in beta to customers and prospects. Call or email us at (800) 572-0470 / info@tigertext.com to start planning a path toward a more streamlined organization. 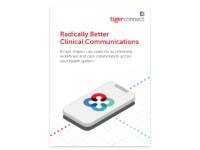 As healthcare’s largest provider of clinical communication solutions, TigerText helps physicians, nurses, and other staff communicate and collaborate more effectively, accelerating productivity, reducing costs, and improving patient outcomes. With 6,500 facilities, 99.99% uptime, and over 10 million messages processed each day, TigerText continually delivers advanced product innovations and integrates with critical hospital systems such as the EHR, nurse call, and scheduling solutions.